This design reminds us of mission style window panes. 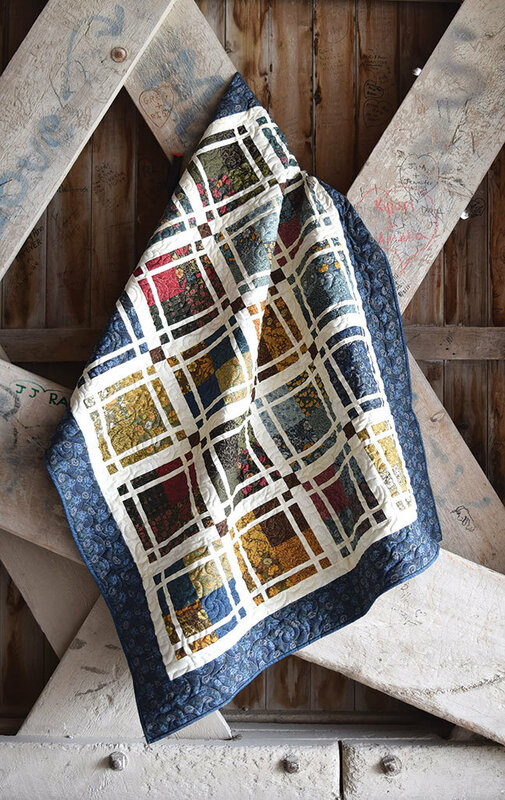 The mixture of the design with the William Morris reproduction fabrics makes this a terrific prairie-style quilt. You can make this pattern using your favorite precut 5-inch squares to save on cutting. 52-1/2" x 63" finished size.